We believe direct connection will lead to a better world. And a more delicious one. People love farmers’ markets. They love the produce. They love the freshness. They love being able to talk to the farmer. The problem is that not everything can be grown locally- and you have to buy things like coffee at the supermarket. 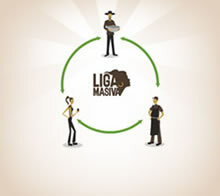 So Liga Masiva is based on a simple idea: what if you could shop at a farmers market, but on an international scale? What if, instead of 13 middlemen between you and the farmer (like with coffee in the grocery store), you could buy direct from the farmer ? Direct. This coffee has gone from changing hands 13 times, to changing hands 2 times. Human-centered. Our work with farmers is driven by the farmers. Period. Sustainable. 100% organic is just the beginning of a constant pursuit for sustainability. It’s richer. And we don’t just mean the farmers. You get a better, fresher product and a richer experience of the people and place your products come from. It’s more efficient. Middlemen don’t grow coffee; farmers do. By cutting out the middlemen, we’re able to pay farmers more than 200% what they could otherwise earn. It’s just. We’re responsible to our stakeholders, not just our shareholders. Which means we work for every person that touches our product, from farmer to consumer. Direct is about relationships. 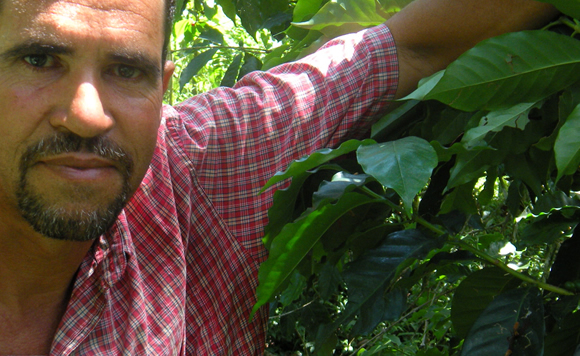 We work in partnership with a group of smallholder organic coffee farmers in Jarabacoa, Dominican Republic. It’s pretty simple, really. We buy direct from the people that grow the products and then sell them direct to the people that enjoy them. We visit their farms; we talk to them regularly; we meet their kids. We signed a completely transparent, long-term contract that guarantees a price to the farmers that is 200% what they could otherwise make. Currently, we’re buying the whole crop from the seven farmers that are part of the group, and we’ll add more farmers as we sell more coffee. Our work with farmers is driven by farmers and our products are driven by consumers. Rather than starting programs that we think are necessary, we ask. We use a process of human-centered design that starts with the needs of the users (farmers sometimes; consumers other times) and designs, prototypes, and iterates, based on feedback and observations of those users. What’s come out of this process? Tailored farmer workshops on pricing and supply chain. A preharvest loan program that reduces farmers’ interest rates from close to 40% to under 10%. Totally transparent, long-term buying commitments. 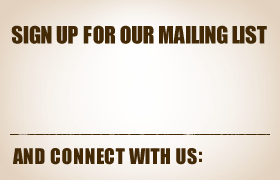 A coffee subscription with free shipping, customized roast, brewing and tasting notes, and new farmer information every month. That’s what we’ve heard we can do for you. And we’ll keep asking. Sustainable means organic, to start with. It means paying a little extra so that smallholder organic farmers don’t have to revert to cheaper but less environmentally-sound processes. It means worms and coffee pulp for fertilizer, not big bags of pellets or spraying machines. It means you drink coffee, not chemicals. And that there are no chemicals put in the soil, and the water, and the air, either. It means that we design packaging that has as little negative environmental impact as possible. It means we choose shipping methods that minimize carbon footprint. It’s an ongoing journey. Of constant improvement. So what? Turns out, the better we all do, the better we all do. The farmers we work with are making 168% what they earned last year and 238% what they made over the last ten years. They don’t have to migrate to the city, or send their kids to work, in order to make ends meet. The knowledge they have about their land stays there, and they continue to cultivate organically, which keeps the land, water, and people healthier. And you get a better product. You know where it comes from, how to get in touch with those people, and a little about what their lives are like. 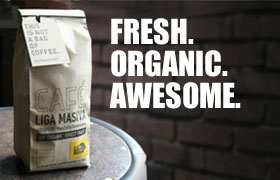 Plus, you get the freshest, most sustainable, highest-quality “cuppa” around. It’s like going to the neighborhood farmers’ market. And that is a lot more fun. For everyone.